Therapist Aid is dedicated to helping mental health professionals improve their craft by providing free evidence-based education and therapy tools. Our resources are created with clients in mind, which means avoiding jargon, and creating tools that are not only useful in theory, but in practice. Therapist Aid was created by Woody Schuldt, a Licensed Mental Health Counselor in Jacksonville, Florida. Woody graduated from the University of North Florida with a masters degree in counseling psychology. Since then, he has worked primarily in community mental health centers treating a wide variety of clients. The idea for Therapist Aid came about when Woody noticed there were few easy-to-use online resources for therapists. He had already created a small library of worksheets for his own personal use, so why not share them with the world? Thus, Therapist Aid was born. Therapist Aid is always a work in progress and we're always happy to receive feedback (both positive and negative). Follow us on social media, or join our mailing list, if you would like to know about updates and new tools for therapists. 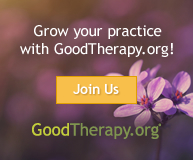 If you have questions about how to use Therapist Aid, visit our Help / FAQ page. You'll find information about downloading and printing worksheets, copyright, our newsletter, and more. The resources available on Therapist Aid do not replace therapy, and are intended to be used by qualified professionals. Professionals who use the tools available on this website should not practice outside of their own areas of competency. These tools are intended to supplement treatment, and are not a replacement for appropriate training.